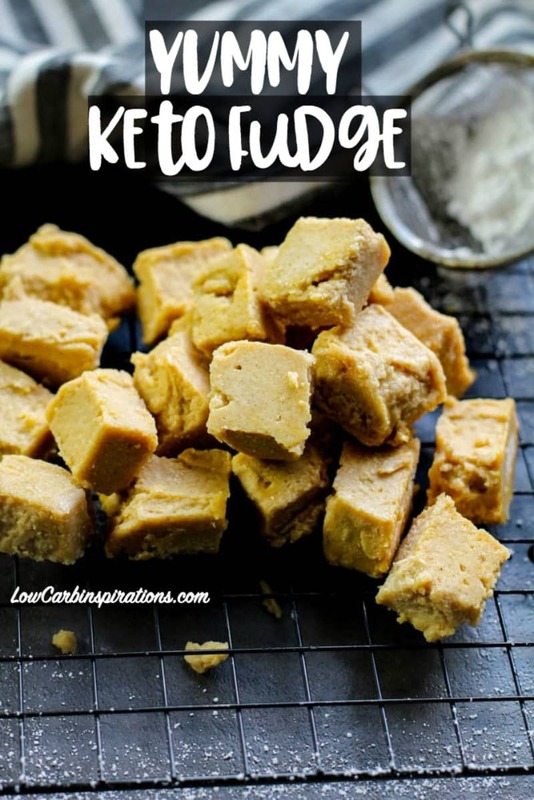 I am in love with this Keto Peanut Butter Fudge recipe! You can make this recipe with any nut butter you want too. 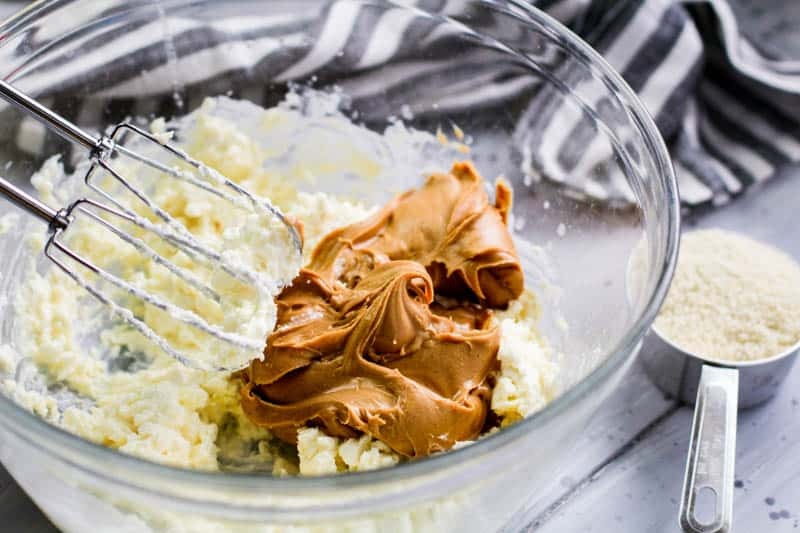 We know there are some people who hold very strict to the Keto way of eating and don’t consume peanut butter. 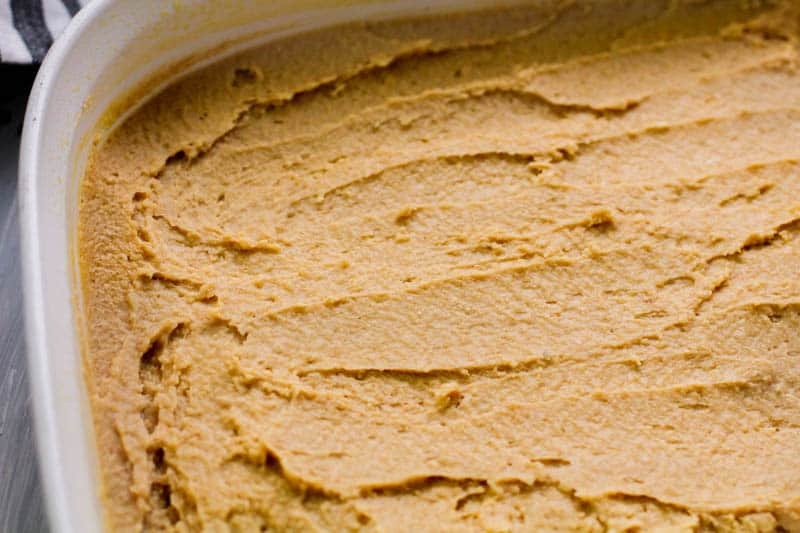 I am in love with Sunflower butter right now so I will probably make that next. You can even use almond butter too! Use whatever you want. 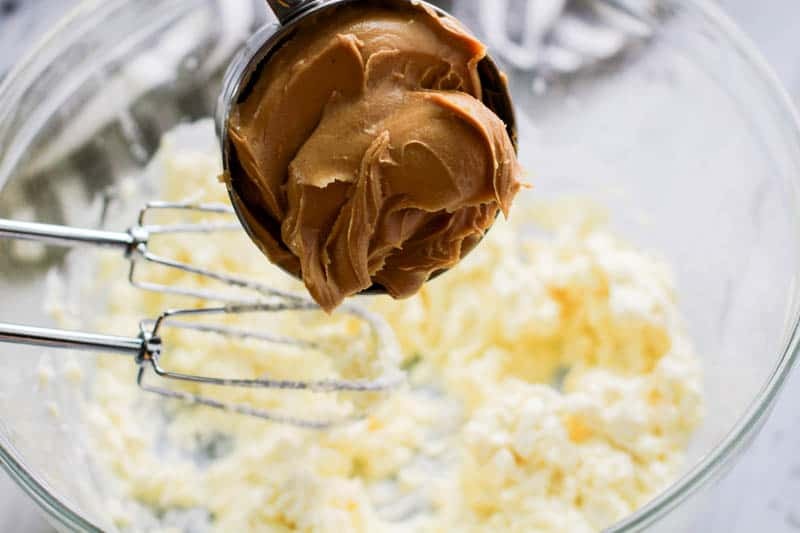 If you do want to use peanut butter, just make sure the peanut butter you plan to use doesn’t have any added sugars. We know that Smucker’s makes a Natural Peanut Butter that is really just nuts and salt. 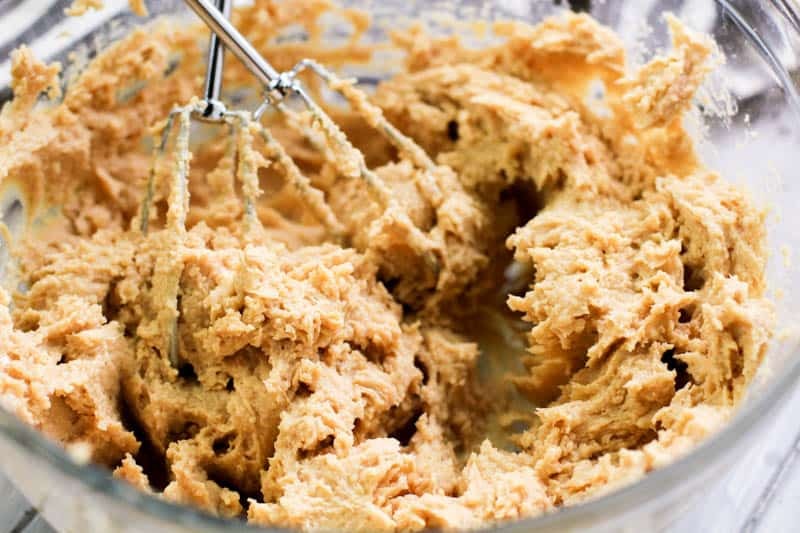 This recipe totally reminds me of the time we made our 3 Ingredient Keto Peanut Butter Cookies! You remember that? I am hooked on a brand new Keto cookie recipe that is called “trash” cookies. Don’t let the name fool you though. It’s called “trash” cookies because you just throw all the ingredients together. They are the perfect combo between sweet and salty! You gotta try the Keto Trash Cookie Recipe! It’s so good! 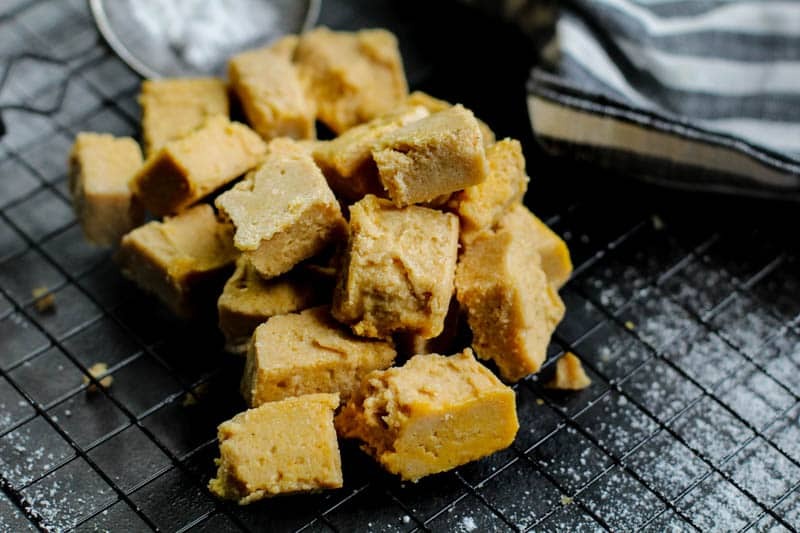 This is the creamiest keto peanut butter fudge recipe you will ever try! I promise! In fact, you will need to keep it in the fridge or the freezer to keep it from melting. I love it cold out of the freezer myself. YUM! 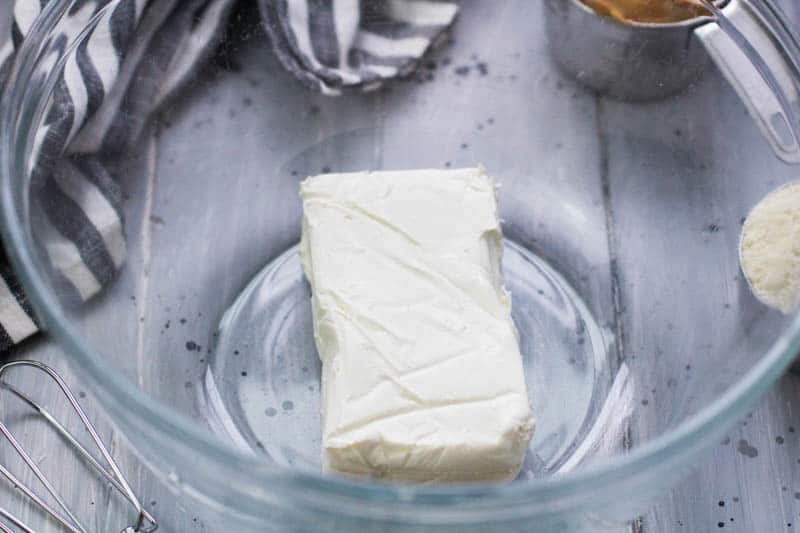 First, mix together the cream cheese, and butter with a mixer. Then add in the peanut butter and mix it until it's smooth. Add the remaining dry ingredients and mix until it's all combined. 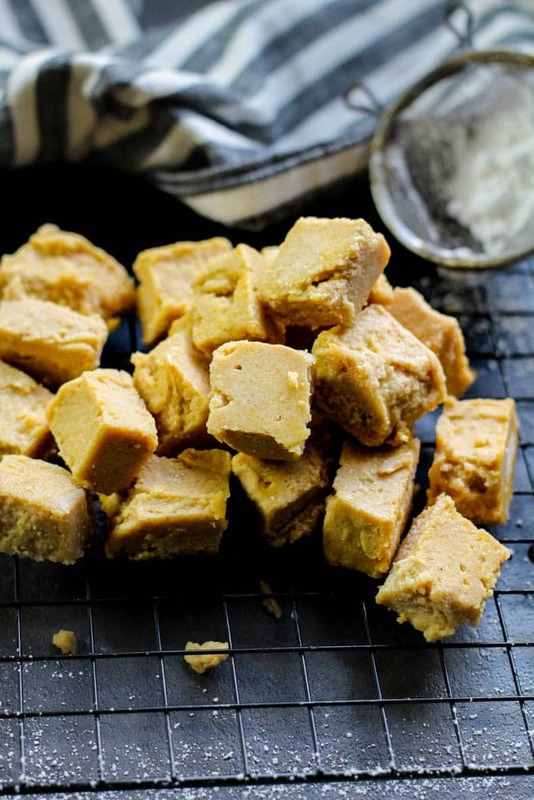 Spread the fudge in a pan and refrigerate until firm (about 3 hours), cut into 1-inch squares. Be sure to use a keto friendly powdered sweetener in this recipe. You can take any keto approved sweetener and pulse it in the food processor to make it powdered if needed. First, mix together the cream cheese and butter with a mixer. Then add in the peanut butter and mix it until it’s smooth. Add the remaining dry ingredients and mix until it’s all combined. Join the Low Carb Inspirations Group on Facebook! If you want a challenge to help boost weight loss on the Keto diet, join the Beef and Butter Fast 5 day Challenge group on Facebook! By Neyssa on September 17, 2018 Keto Dessert Recipes, Keto Friendly Recipes, Recipes. Could I substitute anything else for the nut flour, if someone has allergies?